Want to be notified of new releases in what-crud/vue-crud? Vue.js based REST-ful CRUD system. Application built with Vue CRUD is SPA (Single Page Application) so it works much faster than apps based on Wordpress, Joomla, etc. 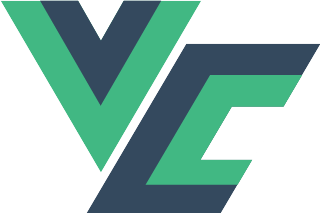 Vue CRUD uses the vue along with its ecosystem (Vuex, Vuetify, etc). Enjoy the benefits of the most popular JS framework in the world. To get full user account, contact me on my company site. Do you want to test the application quickly, and you do not have an API ready? No problem, you can use the ready-made example in the examples folder. The API for this example is available on the internet, so you can connect to it by entering its address in the configuration file. If you have your own API prepared, modify src/config/api.js file. Your app is already running (probably at http://localhost:8080). The application requires a connection with the appropriate API. API can be created in any technology - the condition is its compliance with the Vue CRUD communication specification. If you need to create your API and do not know how to get started, and you don't mind PHP and Laravel, download or clone the Laravel CRUD API project. If you have an idea about improving Vue CRUD, do not hesitate. Developers interested in contributing should read the Code of Conduct.